On Thursday, 20 October, I did a live broadcasting from Picture Room, NYC as part of their project with Know Wave (from 5 to 6PM). My heart belongs 50% to NYC and 50% to Antwerp. That’s why I played all music produced on Belgian/Dutch soil, in NYC. 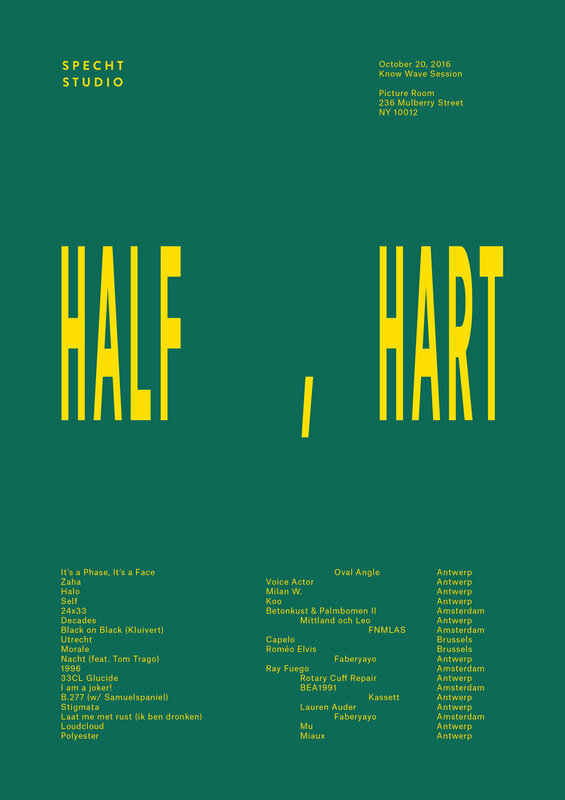 HALF HART: half heart. Want to read more and submit your story: read more here. Riso print by Geran Knol (2016), signed and numbered edition of 100. Founded in 2012 by Los Angeles based gallery Moran Bondaroff, Know Wave is an international community platform that promotes expression through music, interviews, publications, and happenings. Operating out of New York City, Los Angeles, and London, Know Wave hosts radio shows on their website as well as poetry readings, live music events, and more. They have taken residency at events such as the New York Art Book Fair at MoMA PS1 and the Mapplethorpe +25 Symposium. The variety of shows range from Performance 101 with Kembra Pfahler to Letter Racer Radio hosted by New York rap group Ratking. The multiplicity of shows perfectly encapsulate the richness and diversity of an urban setting such as NYC. or download the moranbondaroff app. 'Talk of Sculptures' – an animated movie by Oval Angle (Geran Knol). 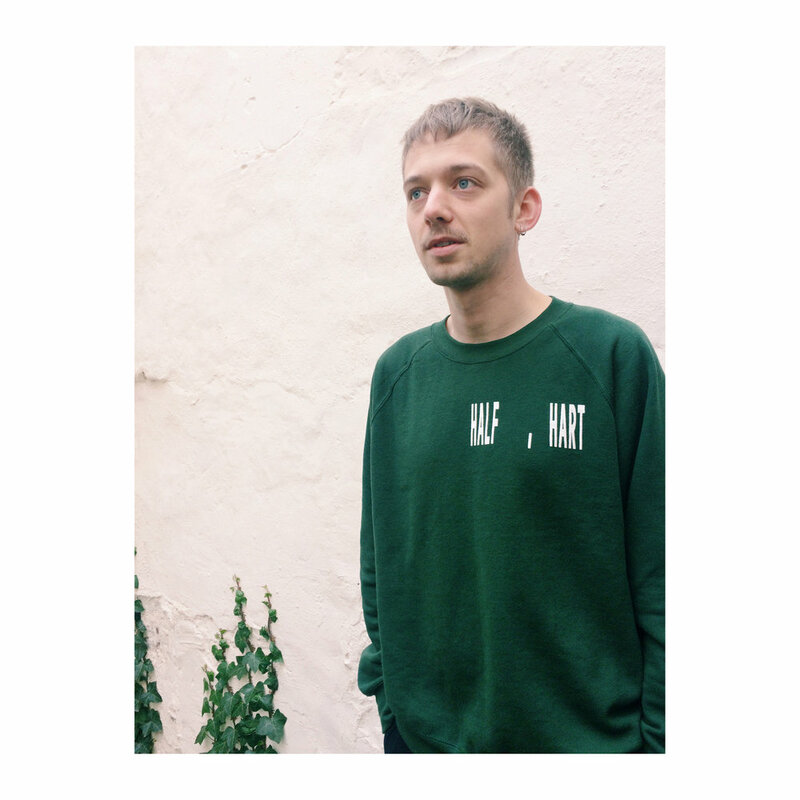 Picture Room has invited Know Wave Radio to return for a second week-long residency at their storefront, which will stream live on their website during the third week of October. The broadcasts will feature an assortment of artists from the Picture Room community and will range from live music, poetry readings and interviews, concluding with a full day of artist’s playlists on Sunday. Programming will include broadcasts by Robin Cameron, Todd Colby, Dan Fox, Sarah Gerard, Kayla Guthrie, Milah Libin, Justin Hunt Sloane, Stephanie Specht, Kayla Ephros, and mixes from Livia Charman, Sanya Kantarovsky, Aidan Koch, Maia Ruth Lee, India Menuez, Adam Michaels, Seth Price, Jessica Butler, and David Reinfurt.